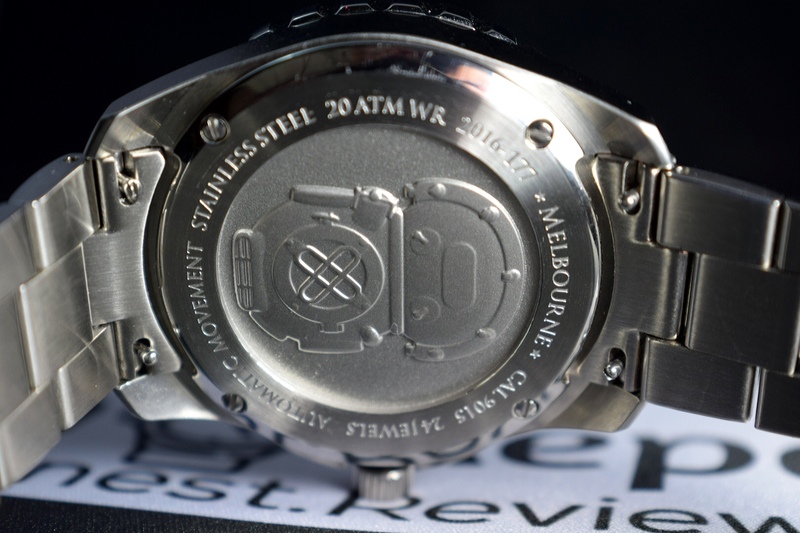 It’s been some time since I’ve had an opportunity to take a look at a watch from the Melbourne Watch Company. 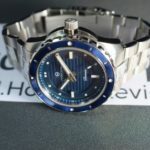 Direct from Melbourne Watch Company, their focus is to utilize quality materials such as surgical grade 316L stainless steel, scratch resistant sapphire crystals and high grade mechanical movements. 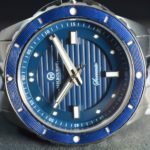 The company strives to offer watches to consumers at an affordable price.One of if not the newest release from the company is the Sorrento. 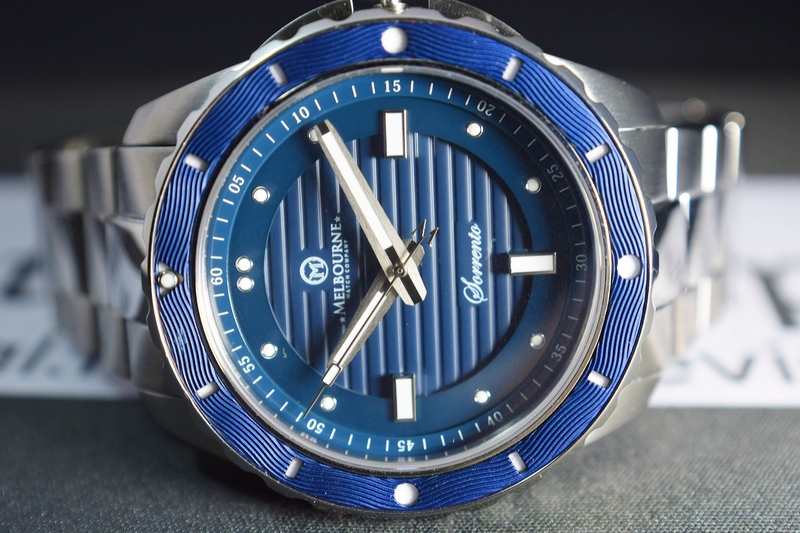 Based I what I could recall about their watches, I anticipated a fairly solid and satisfying watch with the Sorrento. 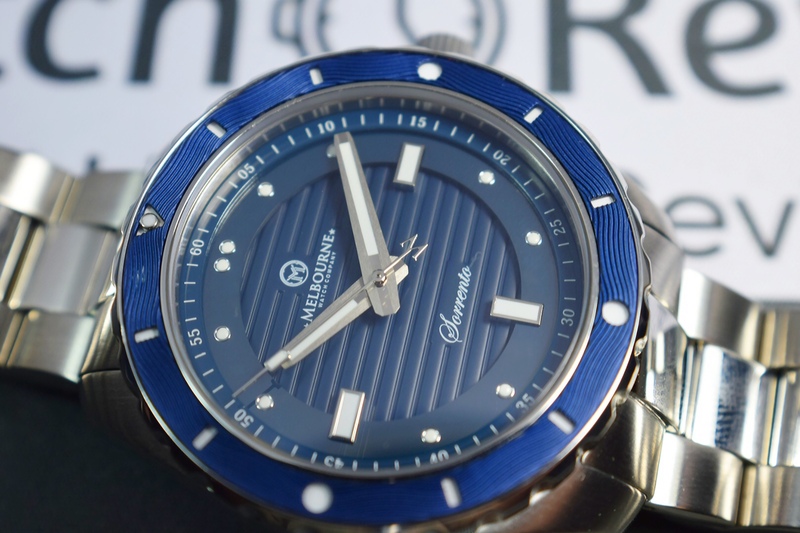 There are three variations of the Sorrento and this review will focus on the blue dial. 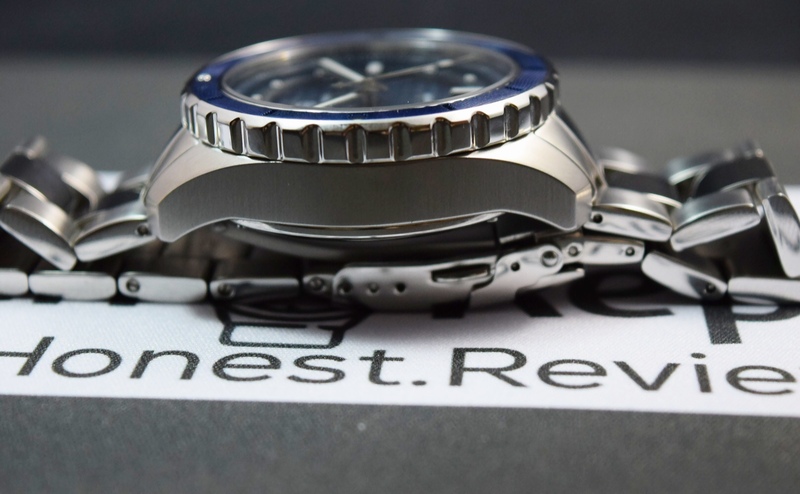 When I was contemplating how to approach my review on the Sorrento, I figured I would break the watch down into Pros versus Cons. I will go right ahead up front and state more pros than cons with the very cool Sorrento. 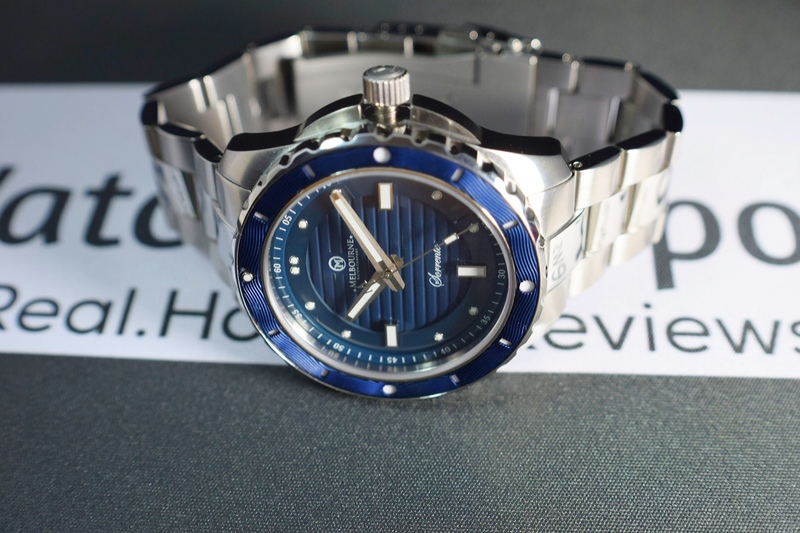 Those of you that have read some of my past reviews are probably aware that I am a dive watch kind of guy. Also, the more “toolish” the dive watch the better in my book. 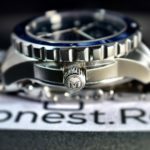 So, jumping right in first and foremost I consider this watch to be extremely versatile but not a “tool” or industrial style diver. 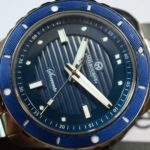 The case combines both brushed and high polished finishes so this watch could definitely be considered by many including myself as a dress dive style watch. I would not hesitate to throw it on with a pair of jeans or some shorts, etc. 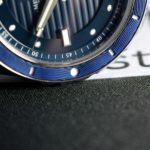 If you are a “tool” or industrial dive watch kinda guy like me, I still believe this watch might grow on you over time as I admit I have greatly enjoyed it. Next up with the pros is the bezel. 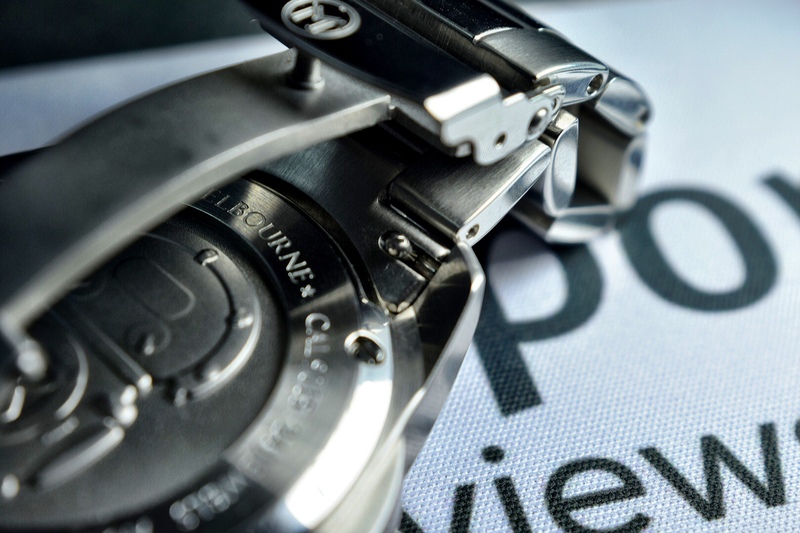 I have to admit while I am listing the bezel as a pro, personally I have both love and hate feelings about it. 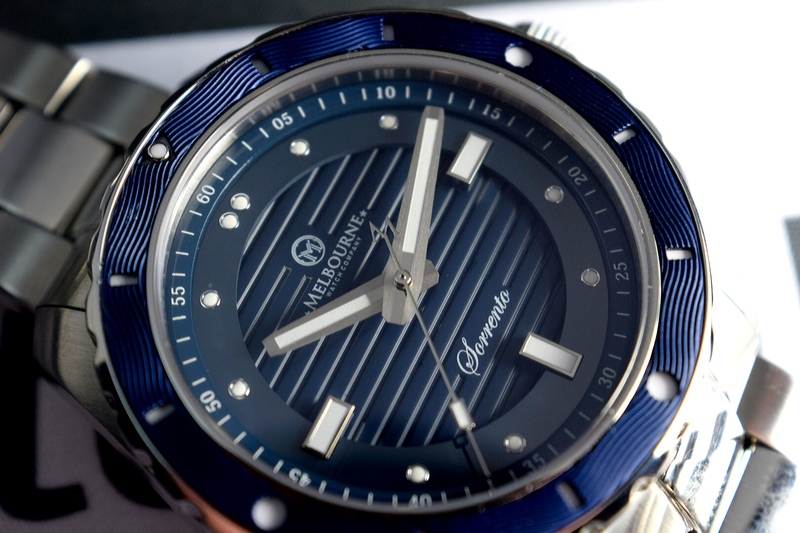 The bezel is flat out cool looking giving the Sorrento a significant amount of flair with the machined wave design. I love the way it looks. 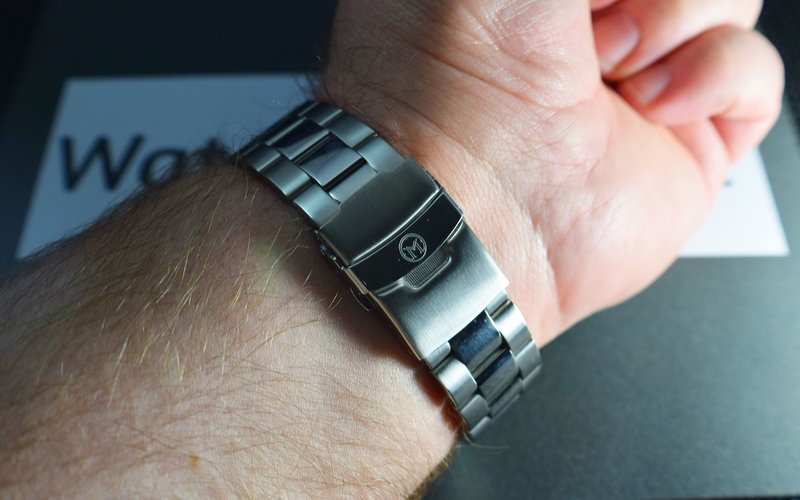 However, I suggest being extremely cautious with the bezel. I have marked up standard bezels before and in many instances any damage doesn’t always seem to be too noticeable. 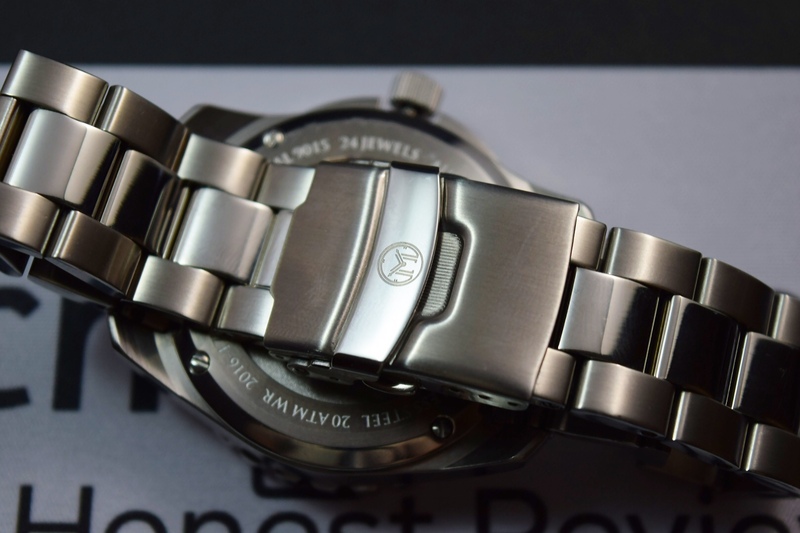 Unfortunately, I rubbed the bezel on the Sorrento up against a door frame and the mark just seems far more noticeable to me thus my hate feelings toward the bezel. The cool factor still outweighs the delicacy factor. 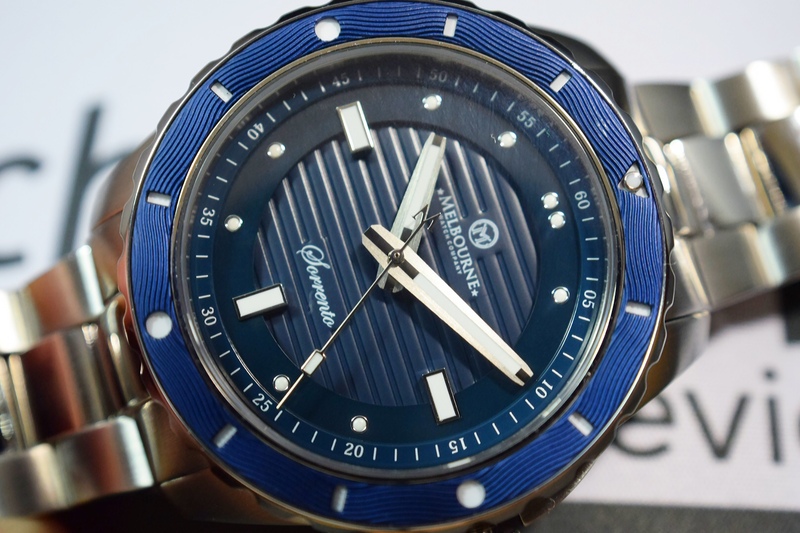 Pro number three has to be the ceramic dial. 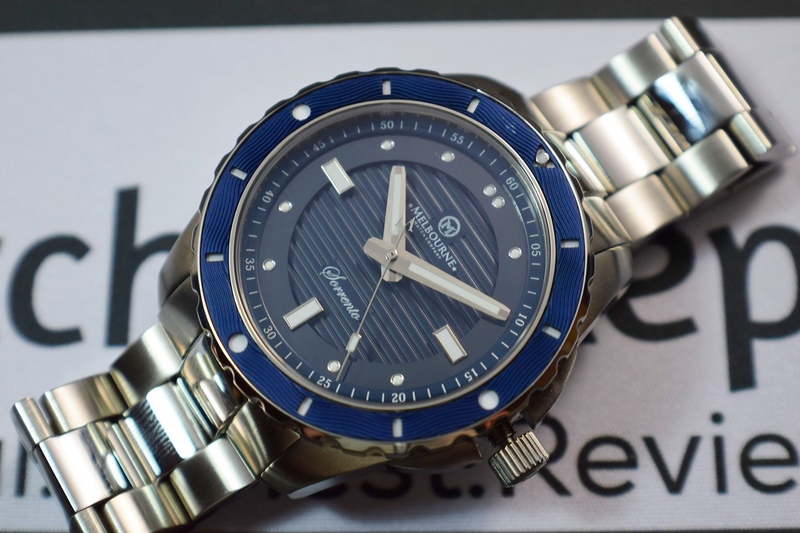 The Sorrento I believe is the second watch model from the company to sport this type of dial. 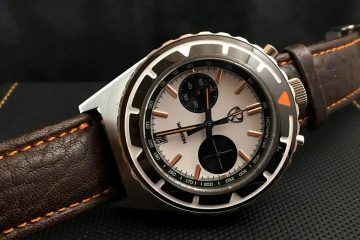 I’m not entirely certain what makes a ceramic dial any better than any other type of dial material but it sure sounds special doesn’t it? 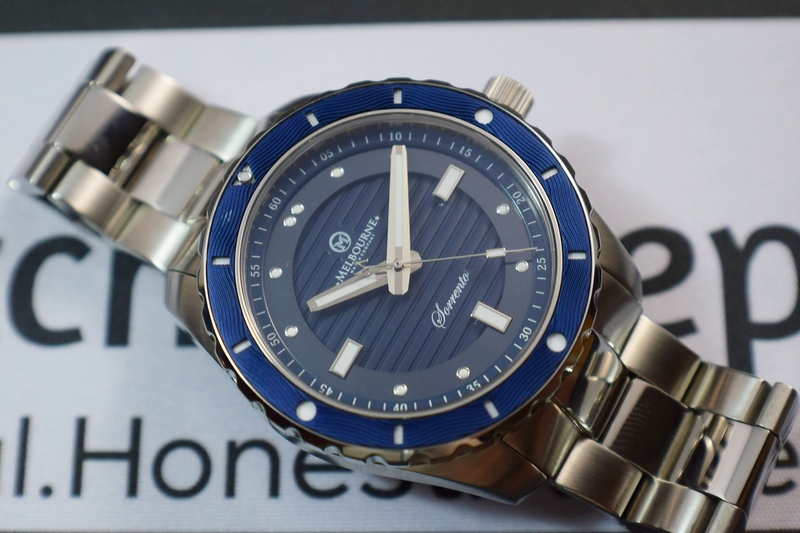 I guess it just adds a level of sophistication and uniqueness as ceramic, while used frequently with bezels, isn’t found all the time as the dial material. I really appreciate the depth that central ceramic disk adds to the watch. One thing for certain, the ceramic isn’t going to scratch if that matters to anyone. Movement and the bracelet are the other pros in my humble opinion. 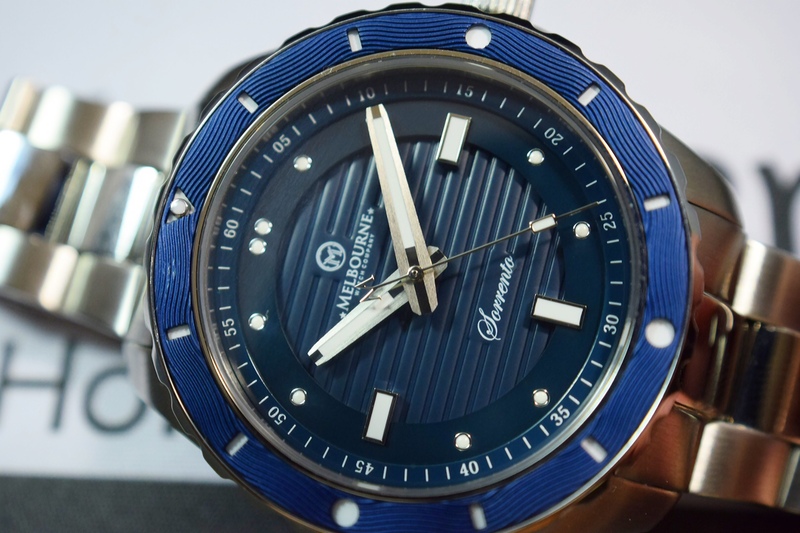 The Sorrento is powered by the ever popular and reliable Miyota 9015 automatic. 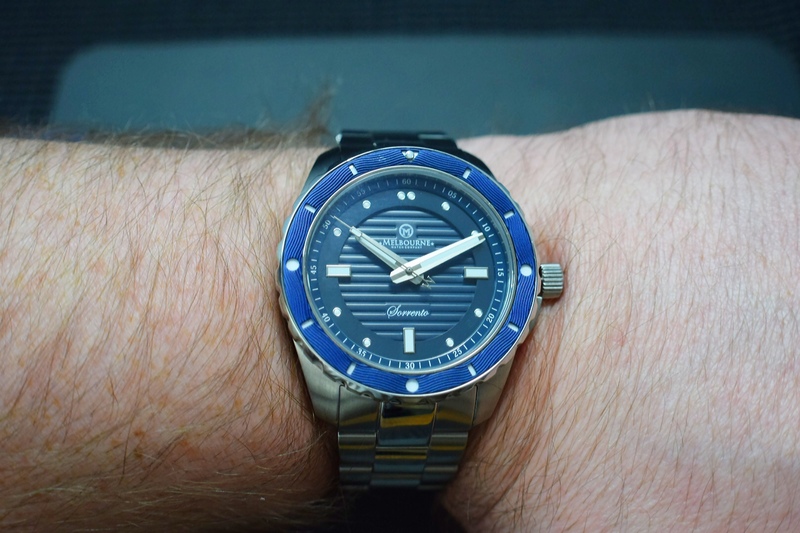 Some folks just will not buy anything but Swiss but I personally do not believe the 9015 can be beat for the cost. 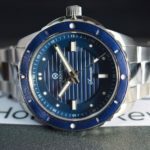 Swiss movements are starting to get rather pricey and finding a watch under $1000 with an ETA and great quality is becoming more and more rare. 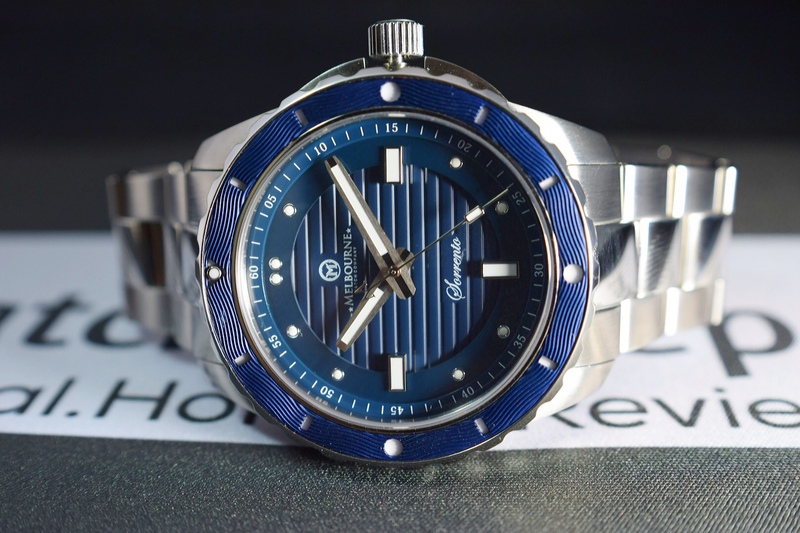 So some may actually consider the overall cost of the Sorrento a hidden pro based on the quality movement and other specifications. 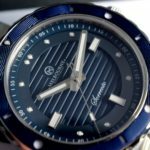 I am not a bracelet guy any longer as I have developed a taste for custom leather straps and Isofrane dive straps but I love the bracelet on the Sorrento. The bracelet is 22mm at the lugs but tapers slightly just below the lugs to around 21mm all the way through to the clasp. The links are assembled using single sided screws which happens to be my personal favorite. I know I’ve heard it all before, what if you strip the female side of a link? Just be careful! The single sided screws are so much easier to size and if you are like me with a not so steady hand, this is the preferable design in order to prevent scratching up the sides of the links. 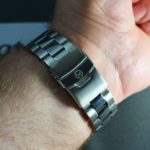 The bracelet also uses quick release pins so no more scratching up the bottom of the lugs. 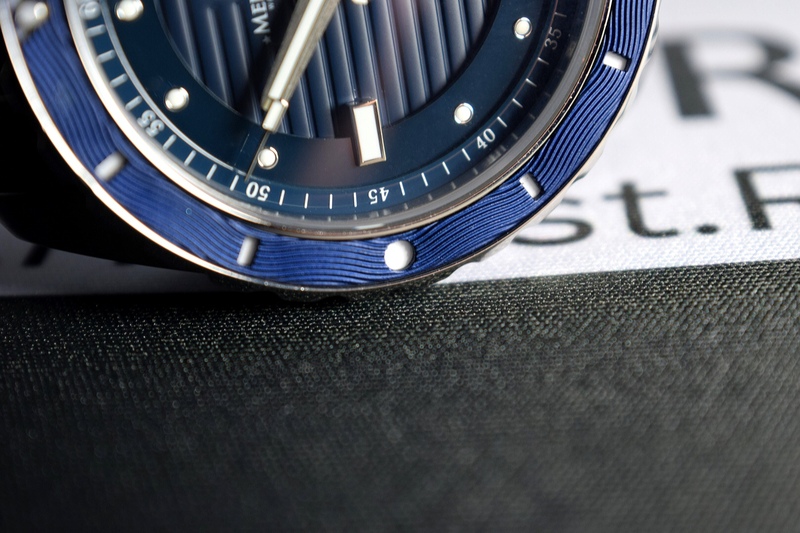 I’m not sure why more watch companies are not using this type of setup. There is really only one solid con to the Sorrento. 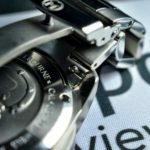 While my love/hate feelings with the bezel might also be considered a con, I can overlook the hate side due to the “cool” factor. So what’s the con? 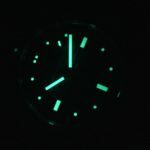 The lume is just not all that great compared so some dive watches I have seen. 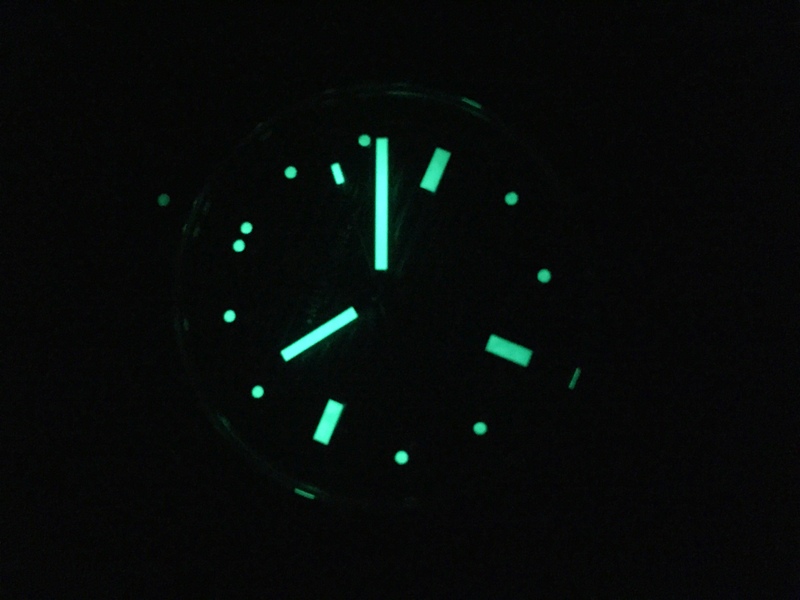 Initially, the lume is strong but it fades out rather quickly. 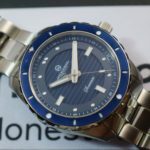 The issue might be the use of Japanese super-lume rather than C3 Superluminova or BGW9. 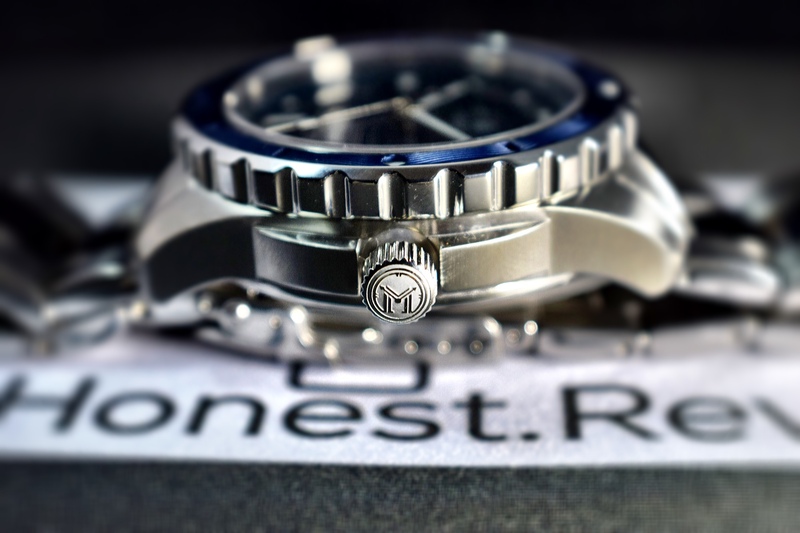 I might also suggest adding significant lume to the bezel markers. 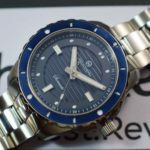 Is the lume a deal breaker? Nah. 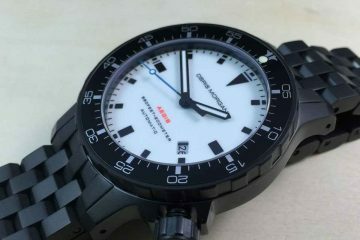 I’m not certain the Sorrento is the type of watch that a professional diver is going to take on any significant dive. 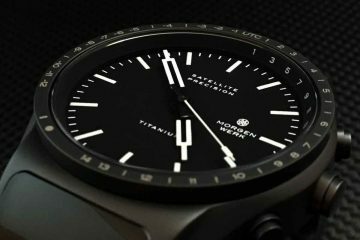 The amount of lume the watch provides is going to provide adequate luminosity such as in darkened rooms, movie theaters or the like. 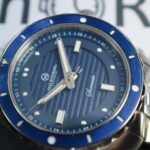 The Sorrento is a reasonably priced micro-brand dive style watch. 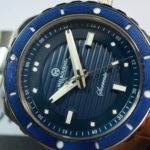 The model is comparable to or even exceeds the quality of other dive style watches in this price range. 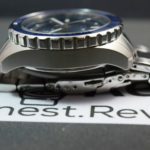 If you are looking for a dress style diver this option may be a great option. Dress it up or dress it down, it can really go either direction. 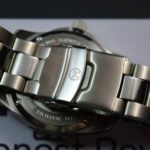 I hope the Melbourne Watch Company keeps producing quality watches with this level detail at a reasonable price point. 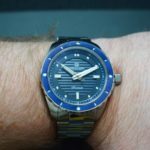 I admit I would like to see more dive style watches. 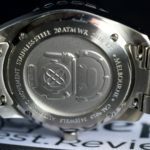 I would like to thank the Melbourne Watch Company for working with WatchReport on this review.